Asparagus health benefits may not be well known, but what makes this stately stem a part of any superfoods diet is its unique health benefits. Asparagus is a member of the lily family. There are actually hundreds of varieties available, but only a few are edible. The stately spear that is harvested and eaten is actually the stem of the asparagus plant. Asparagus is harvested when it is about 6 to 8 inches tall and before it is fully mature and produces seeds. In the United States, the most common type of asparagus is green asparagus. This has a predominantly dark green color, sometimes laced with hints of purple. More common in Europe is white asparagus, which is grown underground. Sunlight deprived, it does not manufacture chlorophyll, thus its white color. White asparagus has a nutty and slightly sweet taste when eaten raw. Asparagus is a stately vegetable that has made it into the superfoods diet list due to its many and rather unique health benefits. One of the many asparagus health benefits is that this food is one of the few vegetables that contains high amounts of the antioxidant glutathione. The few calories in asparagus (only 15 per ½ cup raw) makes this a virtually calorie-free food packed with a nutritional punch. The unusual properties of asparagus nutrition make asparagus one of the most perfect foods available. Only 6 spears of asparagus contain a whopping 135 micrograms of folic acid, which is half of the Recommended Daily Allowance for this mineral. These same 6 spears also are high in fiber, potassium, calcium, folate and vitamins A, C and K. It also contains, in a lesser amount, some B vitamins and vitamin E.
More asparagus health benefits are that it contains a high amount of the phyto-chemical and powerful antioxidant glutathione. 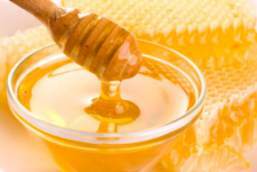 Although the body naturally manufactures the antioxidant glutathione, the supply decreases with age. Boosting your intake of glutathione is essential for helping all of the other antioxidants in you body to be effective. This is why glutathione is called “the master antioxidant.” To learn more about the benefits of glutathione, check out The Glutathione Disease Cure. Think of asparagus as your own personal glutathione supplement. For many people, eating asparagus results in strong smelling urine commonly known as “asparagus pee” or “asparagus urine.” Asparagus contains a sulfur compound, which when broken down in the body releases an odor. The strong smelling urine is nothing to be alarmed about and goes away quickly. Alkaline pH - Asparagus is an alkaline food. Eating asparagus helps to reduce high acid in your tissues and cleans your blood. Eye Health - The presence of the powerful antioxidant glutathione nourishes the eyes and it may help to prevent or to slow the progression of cataracts. Digestive Health - The high fiber content of asparagus helps maintain a healthy digestive tract. Good in helping to relieve both constipation and diarrhea. Diuretic - Asparagus is a diuretic. As such, it is an anti-inflammatory and helps relieve the pain of arthritis and water retention associated with PMS. Depression - The vitamins in asparagus naturally lifts the mood. Some consider asparagus a comfort food. In some countries asparagus is used as an aphrodisiac. Kidneys - The alkaline nature and diuretic properties of asparagus juice is good to enhance kidney health. 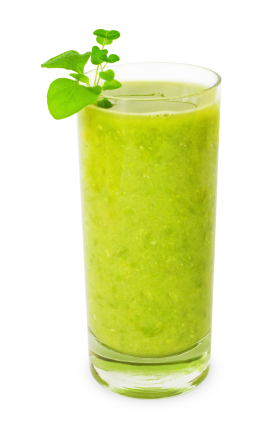 Asparagus juice may help to dissolve kidney stones by breaking up oxalic acid crystals. However, asparagus juice should not be used by people with advance kidney disease. Health Healthy - The presence of vitamin K, folate and antioxidants all combine to make asparagus good for your heart. For a large dose of goodness, drink asparagus juice, but mix it with raw honey or a sweeter juice to make it taste better. When buying asparagus, choose straight, smooth stalks with tight tips. The best asparagus is of medium thickness. Although thick stalks may be attractive, they may be older and tougher. The very skinny stalks may also be tough. For adding to salads, use only the tips and a few inches below as this is the most tender part of the asparagus plant. Serve tender asparagus spears about 4 to 5 inches from the top down with a dip of your choice. You may also want to peel the thicker stalks and eat the tender insides. The more tougher parts of the stalk can either be added to you food processor or blended when you are making soups. Don't discard the tough ends or any part that is tough to cut. This part of the asparagus is perfect for juicing! Use any of the tougher parts to make asparagus juice. 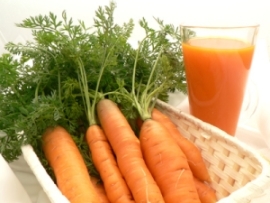 Asparagus juice is not very palatable, so add in a few pieces of apple, carrot or orange to sweeten. You can also add some raw honey to your asparagus juice or mix it into a fruit smoothie or a green smoothie to get all of the wonderful asparagus health benefits. Raw asparagus is best eaten soon after is is harvested. To keep raw asparagus fresh for several days, place the cut ends in a dish of water or wrap with a wet paper towel and store in the refrigerator. Asparagus is best eaten fresh. However, it is limited as to how long it is in season. If your garden is producing more asparagus than you can eat or make into asparagus juice, think about preserving it. Freezing asparagus involves blanching the asparagus spears, so that method is not recommended for the raw foods lifestyle. The most efficient way of preserving asparagus without using cooking is to dehydrate it. Dehydrating asparagus will result in a brittle and crispy stem. Use a simple marinade to heighten the flavors of this beautiful veggie. Dehydrated asparagus will give you options to enjoy this veggie year round. Try it crumbled onto any type of salad for a crunchy green topping. However you find ways to use this super food, your body will appreciate the boost of nutrients.